A couple of weeks ago, inspiration hit. I had been playing Munchkin with NHL quite a bit and heard yet another Frozen parody song. Suddenly, words were flowing into my brain. I quickly jotted them down knowing that, if I didn’t, they would disappear forever. Those words were followed by more and more until an entire song was formed. I had turned "Do You Wanna Build A Snowman" into "Do You Wanna Play Some Munchkin". I wasn’t finished, though. As I read through the lyrics with NHL and JSL, I could tell they loved the song. However, there were a few weak points where I just didn’t like the flow. NHL helped me tweak parts of it to make it even better. I fully credit the "Snails on Speed" section to NHL. Eventually, we were happy with the song. I found a karaoke version of Do You Wanna Build A Snowman and let it play as I sung the words. The boys were hooked. Even now, NHL will break into song at random points and has memorized most of the lyrics. I had planned on revealing this with a video showcasing NHL and I singing this, but we haven’t made it yet and I just can’t hold this back any longer. I still plan on making a video, but for now, you can just sing along at home. Enough introductions, though. Let’s kick down this door and play… I mean sing some Munchkin! Do You Wanna Play Some Munchkin? I’ve got the cards. Let’s play! Minus two to run away! Do you wanna boil an anthill? Or maybe bribe GM with food? That Net Troll’s pretty rude! Please, I need your help now. Of treasures, the first two! 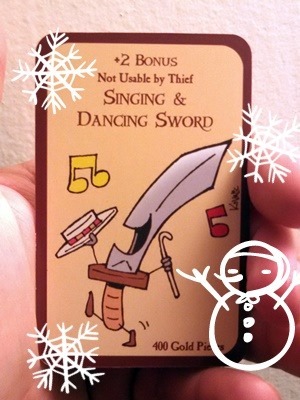 NOTE: The "Singing Dancing Sword" card is a photo I took (and then enhanced) of a Munchkin card. 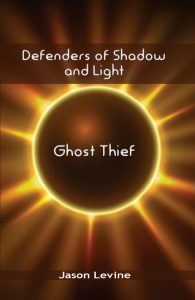 Thanks go to Steve Jackson Games and John Kovalic for such a wonderful game. Also to Disney for the amazing movie that is Frozen. Finally, to Wil Wheaton for his Tabletop program which helped me hook NHL on Munchkin in the first place!